* This class has pre-requisites. Please see description. * This class has pre-requisites. Please see details below. 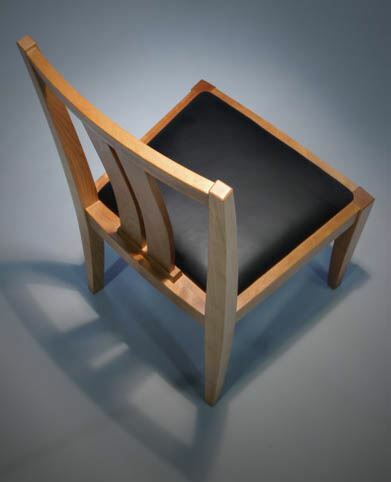 The chair is often considered the Holy Grail of woodworking. It isn't really that daunting — but it is a challenge. 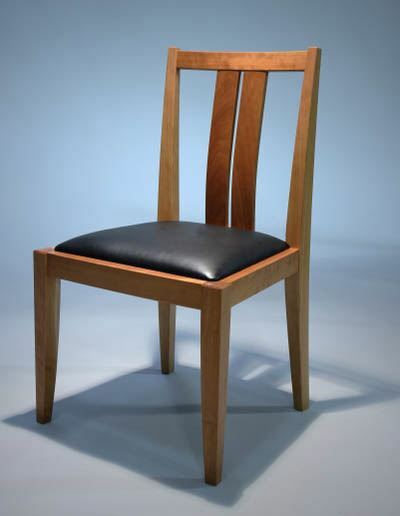 In this class, you will build a chair that the instructor, noted Bainbridge Island furniture maker Bob Spangler, designed specifically for this class. He will discuss design and what it takes to make a chair that is structurally robust, comfortable and pleasing to the eye. You will work with patterns and jigs, then use the bandsaw and the shaper to create parts that are accurate and repeatable. You will learn vacuum forming to bend the pieces that make up the back of the chair. All joinery for the chair will be mortice and tenon and you will use the Festool Domino so that you may produce the chair again at a later time with the Domino at BARN or your own shop. Everyone will leave the class with a complete chair and patterns to reproduce the chair or a set at a later time. You will need to upholster the chair seat on your own, but the instructor will describe how to stretch leather for a seat cover. * This class is for intermediate and advanced woodworkers. You must be comfortable using the major power tools in the shop. At a minimum, you must have completed our free, one-hour Orientation to the Woodshop class plus Woodshop Tool Safety Checkout 1 and 2. If you haven't taken these classes, please register for them before you sign up for this class. This class has nine sessions to it. Please note the different days and times. The materials fee includes mahogany and other supplies needed to build the chairs but does not include upholstery or leather for the seat. Be prepared to work on your chair during Open Studio times between class sessions, if necessary to keep up with the class schedule. Open Studio is always free for members. Non-members can also use the shop during these times without additional charge while working on a class project. If you take this class, you will be welcome to reproduce the chair for your own use or as a gift, but you cannot reproduce it for sale. If you give it as a gift, Spangler would appreciate acknowledgement as the designer. Instructor: Bob Spangler, owner of Robert Spangler Furniture Maker on Bainbridge Island, has been a cabinetmaker and furniture maker since 1973. His work has been included in national shows, public art projects, publications, competitions and private collections. Bob was an instructor at the University of Washington Art Department's woodshop for seven years and a member of Northwest Fine Woodworking in Seattle for 26 years. Birgit Josenhans will assist in teaching this class. See their work at http://rspangler.com. Ted Newman will also assist. Short-sleeve or tight-cuff tops and close-toe comfortable shoes are required. No jewelry other than "button-type" earrings for women is allowed, so no rings, bracelets, necklaces. Long hair must be tied back.